Wheel bearings for ATV’S and UTV’S often do not come with enough bearing grease to sustain the use that you need, to keep riding without fail. Whether you have a Polaris RZR, Can-Am, Yamaha, Suzuki, or Honda they all require added grease for maximum wheel bearing life. Limited grease leaves voids for water and dirt to enter and remain in the bearings. Without proper maintenance, the bearings may fail prematurely. Don’t let this happen to your machine! 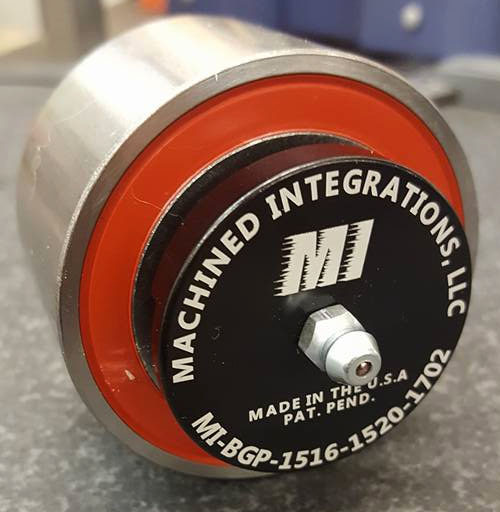 The Wheel Bearing Greaser Tool, developed by Machined Integrations, allows you to easily add grease to the bearings. If you’ve ever packed a wheel bearing by hand, you will really appreciate how easy Wheel Bearing Greaser makes it. In addition to our greaser tools, we also have fairleads and synthetic ropes. 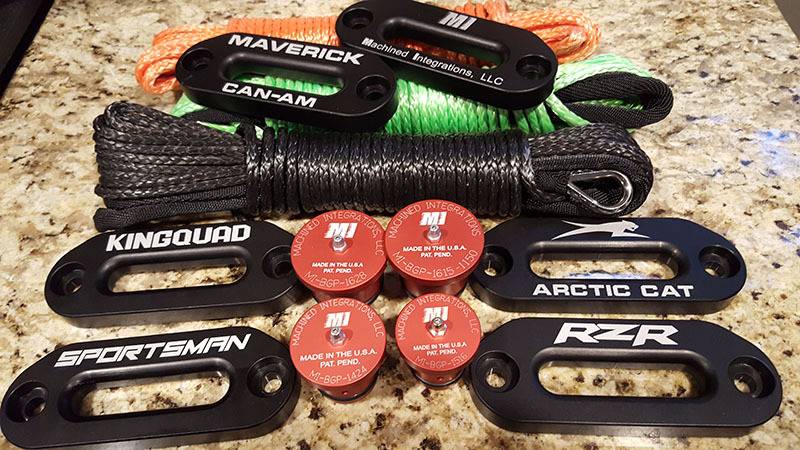 Our synthetic rope fairleads are made from 6061-T6 aluminum, black anodized for corrosion protection, and laser engraved for a quality finished product. Our synthetic rope are 1/4″ diameter, 50 feet in length, and have a 6500 lbs break strength.